We’re advising all adoptive families to take an interest in this ongoing issue. Even if it does not benefit you directly, it has a big part as an incentive for someone else to give a forever home to a child. Essentially it boils down to this……for years the credit was just that- a credit- which steadily rose up into the region of $13,000 per child adopted in a tax year. Fantastic? Yes, of course, BUT only for the relatively small number of families who were able to utilize it. What’s the problem? Well, typically in the USA, families who adopt are in the lower- and middle-income level. In many cases (especially if they have existing children with the standard tax deductions), there is so little tax to pay that there is barely anything to get a credit for. So, for many families it remained unused. What to do?- If you are contemplating adoption then it would be wise to keep yourself informed on what’s happening. 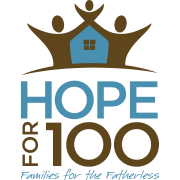 We’ll do our best to bring you the latest news on this page and via the Hope For 100 email newsletter- which you can subscribe to by contacting kevinb@mail.gabc.org.